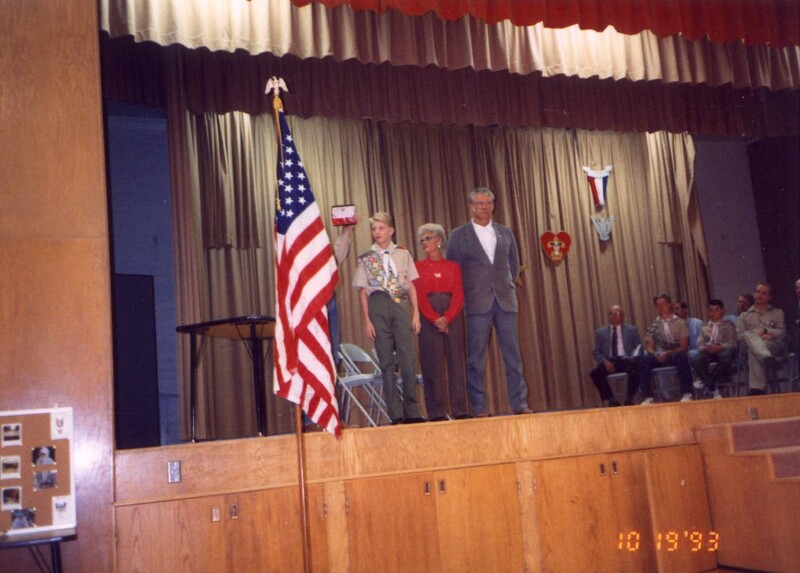 I received my Eagle Scout on 19 October 1993 making it 23 years ago! Where does the time go? Here are some photos of that occasion. Newspaper clipping from the South Idaho Press. 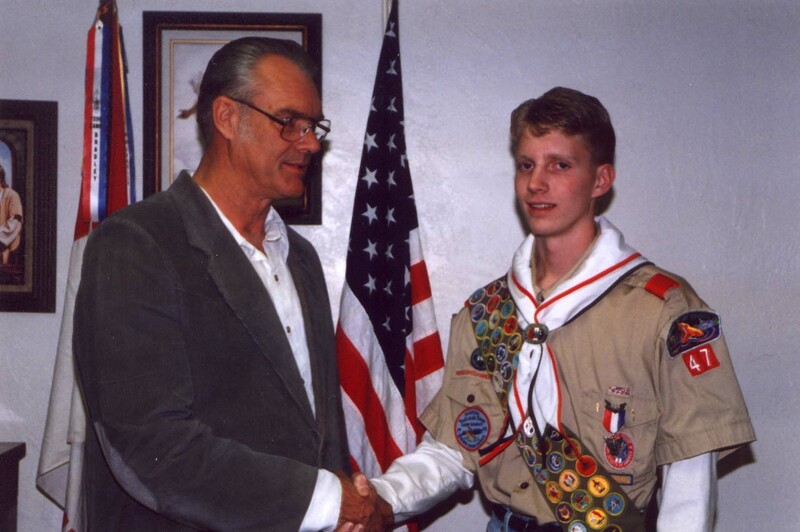 My Dad, Milo Ross, is also an Eagle Scout, so he could make the award to me. 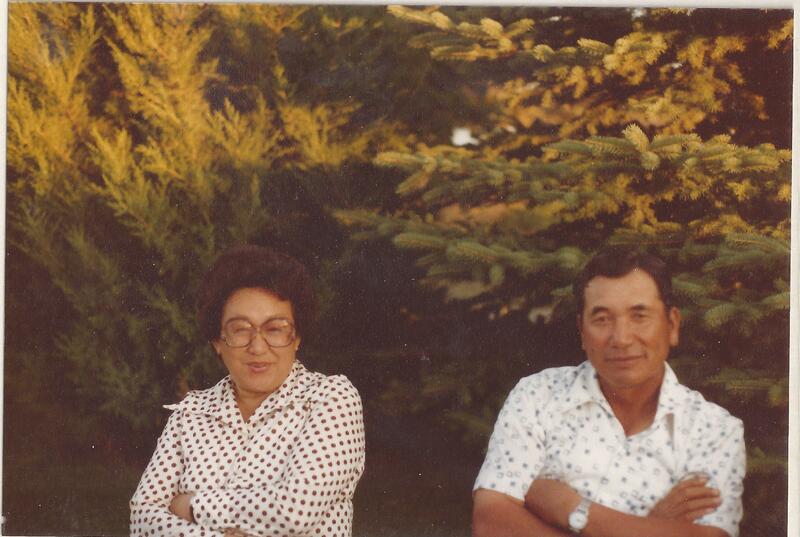 Mom refused to step into a Mormon church, so my Grandma, Gladys Donaldson Ross, stood in for her. Mom finally showed up and came in and then became offended because Grandma stood in her place. Sometimes you cannot win! The Court of Honor. 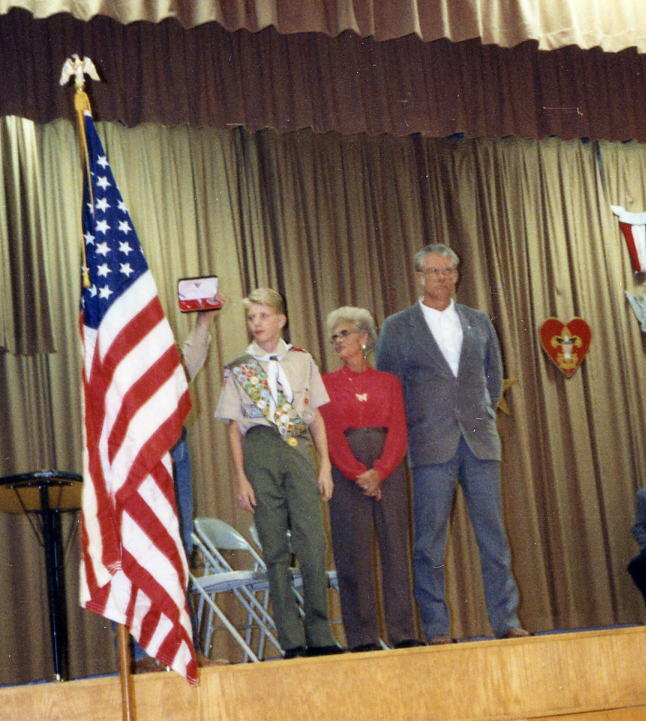 Me, Grandma, Dad on stage with the Eagle Nest. Dad shaking my hand for a photo for the newspaper. 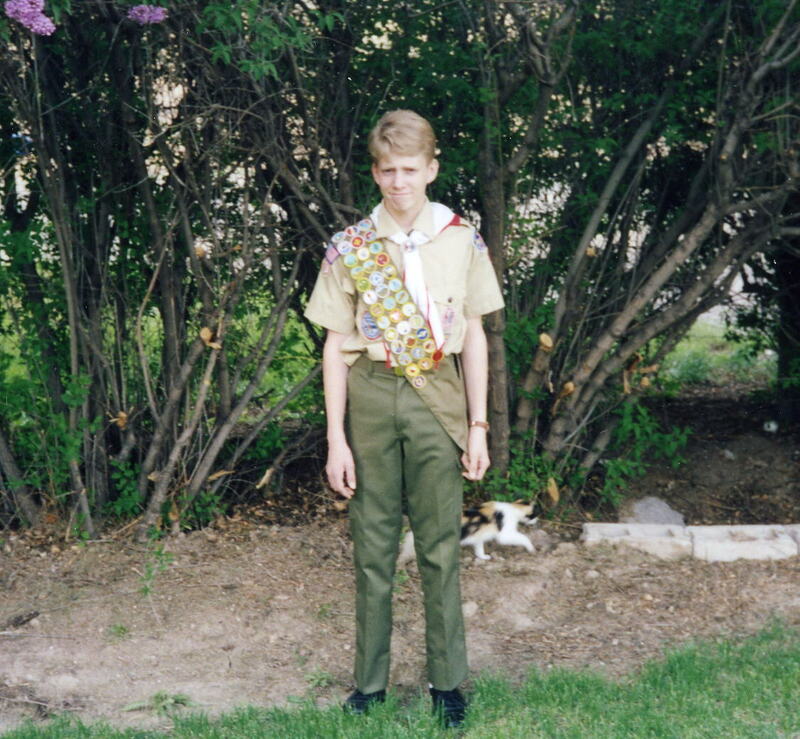 Here is one of those awkward teen photos. Dad had me take a picture before we went to the Court of Honor. I borrowed someone else’s pants so they did not fit. I was already in love with the green trousers. I have a couple of the invitations and the programs for the Court of Honor. Next time I stumble on them I should scan a copy so they are also saved for posterity. Just remember, we all go through that awkward teenage stage.